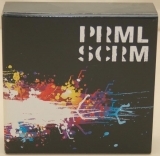 Sony slipcase promo box for the Primal Scream full album set. Received sending coupons by mail. Only inside Japan.